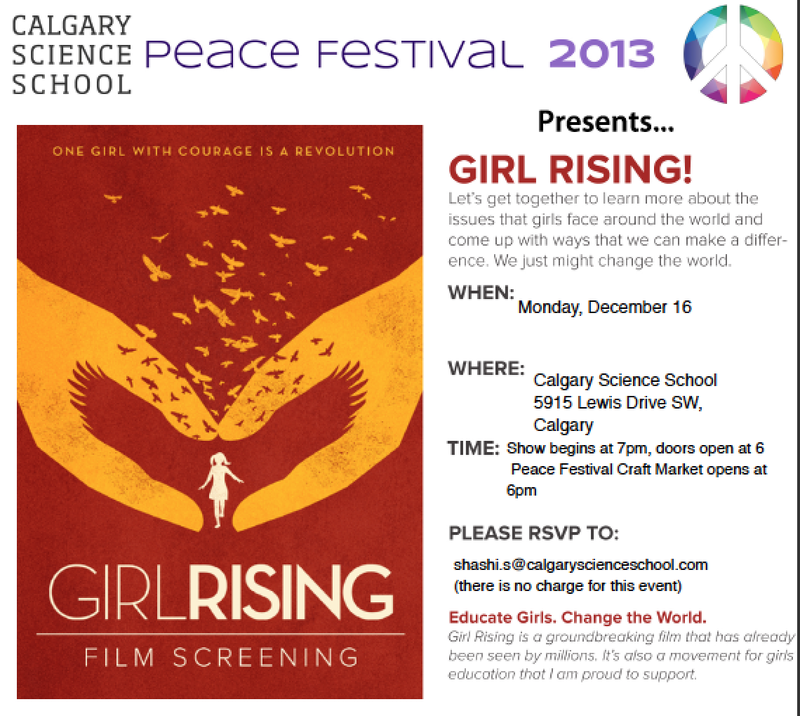 Girl Rising Documentary – Monday, December 16th, 7:00pm – CONNECT! Girl Rising is a grassroots global action campaign for girls’ education, powered by girls, women, boys and men around the world who stand for equality. Millions have seen the film and are spreading its message across campuses and communities of all kinds – raising both awareness and funds. Girl Rising partners with established nonprofit organizations that drive donations to programs that help girls get in school and stay in school.